With over 35 years of experience in design, development and manufacturing of medical devices, Flexicare has developed a world class reputation. 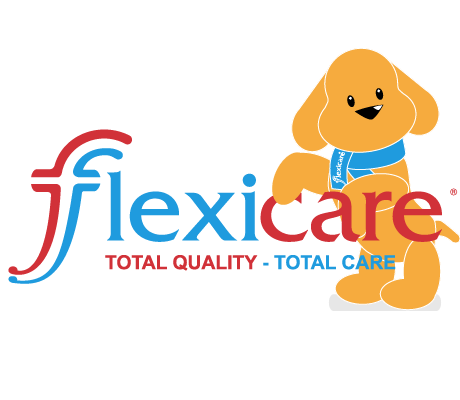 Flexicare now distributes to over 80 countries worldwide through a network of distributors and it’s own subsidiaries. Flexicare has offices across Europe, the Middle East, India, Far East and the USA which are able to respond to customers’ needs, providing a fast and efficient service. We are dedicated to supporting Hospitals in terms of educational support and training of all medical staff with understanding of the principles underlying our product range. We work closely with a number of University Teaching Hospitals and Clinicians to develop full training packages. With our own in house Design and Development Department, we are able to work closely with our technical engineers to ensure that new products are designed and manufactured to meet the required specifications. Our Customer Care Department is available to respond to your enquiries and provide online information regarding our product range and to discuss your requirements. Our experienced sales team can offer advice and educational support within the rapidly changing hospital environment. We want to make the whole process for the customers as easy as possible. Dealing with one person who will be able to discuss pricing, product enquiries or logistics, gives customers peace of mind. The strength of any company is built on the people it employs, and Flexicare has a dedicated team who have years of combined experience to ensure that we fulfill our promise of delivering Quality, Service and Value. Flexicare are able to provide a complete product from start to finish, with quality assurance checks throughout the process, providing confidence for our end users. Our new website has been designed so that it works in harmony with our catalogue and is updated regularly to provide up to date information on our product range and new developments, providing you with the most user friendly experience, ensuring that you can find what you want quickly and easily. We are also developing new specialist content for our websites such as training videos and downloadable product specific literature. Registered Manufacturer of sterile medical devices and surgical products with CE mark accreditation.